If I had a dollar for every time someone asked me if I’m worried about a bubble in Toronto condo prices, I’d probably have enough to buy another investment condo. I wish the term “bubble” was never associated with unsustainable property value. Bubbles used to be associated with good things: chewing gum, soap bubbles and names for pet puppies. Unfortunately the warnings of Toronto’s real estate bubble have persisted. Friends, family and self-proclaimed experts would always try and dissuade me from venturing into the condo market. Fortunately, the warnings were not enough to stop me and back in 1999, I purchased my first investment property. Thirteen years later, I still hear the same warnings AND I still own that first (but not last) condo I bought. The result: the properties have grown in value, and renting these furnished apartments has covered my carrying costs and generated a modest monthly profit as well. Was I clairvoyant? No – hindsight is 20/20, but the truth is that like any other investment, I took a risk, put in some hard work and had a bit of good luck. To pretend otherwise wouldn’t be fair, because the reality is that no one has a real-estate market crystal ball. All we have is our own opinions, but my advice about advice is don’t listen to anyone who touts their advice as a “sure thing”. Which leads me to why I’m writing this … I’ve noticed that recently, local media in Toronto has fallen in love with this story. Every other day I’m reading an expert prediction about why Toronto condo prices will definitely fall soon. I prefer not to make predictions myself, but having lived here for the last 20-odd years and having seen the significant price increases of property investments over that time, I too sometimes get the feeling that condo / apartment prices in Toronto are starting to get a little out of hand … it almost seems like they have to come back down, as if there was some invisible force of real-estate gravity, lurking in the background, waiting to strike. As such, I’m always interested in to read about the reasons why these writers predict a real estate bubble in Toronto and see if I can find anything that strikes a note with me. So far, I’m still not convinced – after reading dozens of these articles, I’m starting to notice some gaps in the theory. First, it seems that whenever statistics are quoted, they’re usually broad statistics that don’t differentiate between different markets and locations. The fact is that even within Toronto, a house in the suburbs will have different price characteristics than a condo in downtown. That needs to be taken into account. The other thing I’ve noticed is that most of these articles fail to recognize foreign investment as a driver of higher prices. If they do mention it, it’s often assumed to be just a temporary phenomenon. My opinion is that foreign investors will continue to flock to cities like Toronto, which provide a safe-haven, a place where they can live if things turn sour in their home countries. In China, for example, residents have lived under a communist regime for so long that mistrust of government and lack of faith in the possibility of permanent economic prosperity are common. For an increasing number of wealthy families that face unstable political environments, investing in Toronto Furnished Apartments would represent a sensible way to hedge their bets. There is also a leveraging factor which occurs because Canada has such a small population – there are an estimated 3-4 million millionaires in China, and that number is growing every day. While that’s only a tiny fraction of the Chinese population, as far as Canada goes, they represent more than 10% of the entire population of Canada! Even within Canadian culture, values are starting to shift. Time is becoming the new currency. Younger generations are starting to value their time more and are willing to give up space in exchange for the ability to walk to work and being close to all the action downtown Toronto. Over the next couple of decades, aging baby boomers are going to push the demand for condos even higher. There are a lot of baby boomers in Toronto who are reaching an age where they no longer want the hassle of having to maintain a home and also prefer being close to restaurants, theaters, etc. Toronto is a world class city. It’s clean, safe and diversified in its industries. It’s serves as Canada’s financial hub and also has strong service, tourism and entertainment industries as well. Over 100,000 immigrants arrive in Toronto every year and in comparison to other world class cities such as Vancouver, Hong Kong, New York, London and Tokyo, downtown apartments in Toronto are STILL underpriced. Real estate developers are no longer building apartment buildings. 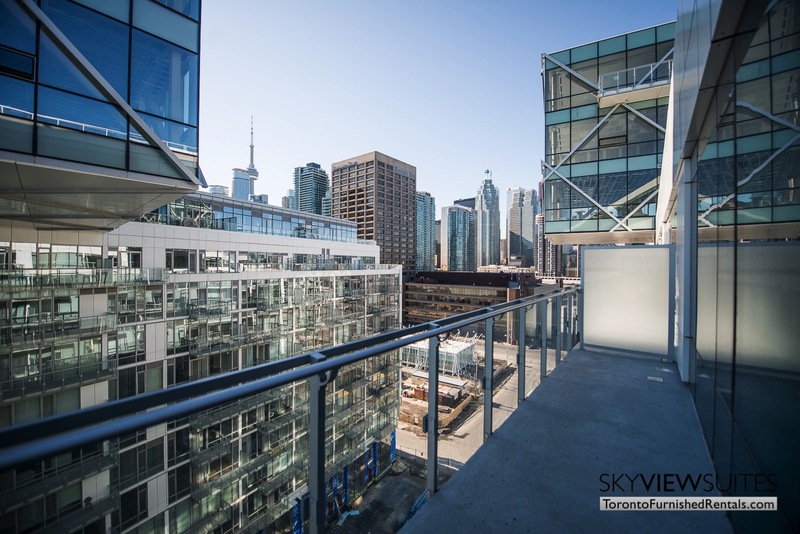 This has significantly impacted the supply of newer, upper-end rental units in the city … condos are now able to fill that gap without fear of “over-supply”. A good test of the Toronto condo “bubble” theory took place back in 2008/2009, when real estate markets were collapsing all over the world. There were areas in the US, like Florida and certain parts of California that experienced 50%-70% decreases over the course of a few months. Places like Manhattan and downtown Toronto passed this “test” with flying colors. Downtown Toronto experienced a 5%-10% overall decrease (closer to 5% for marketable condos in prime areas) and recuperated shortly thereafter. No one can say with certainty where prices will go, but whenever I get into a discussion about downtown Toronto condo prices, I always ask the person if they own any real estate. Most often the answer is “no, I’m waiting to buy until prices come down.” That’s fair, but I would hate to think that their hesitations are overwhelming enough to trap them in their own bubble. I wish I had the opportunity to reach out to more people who are afraid of the “bubble monster”, but we can’t win them all. On the fence? No problem, buy me a latte (preferably a bubbly one) and we’ll talk.